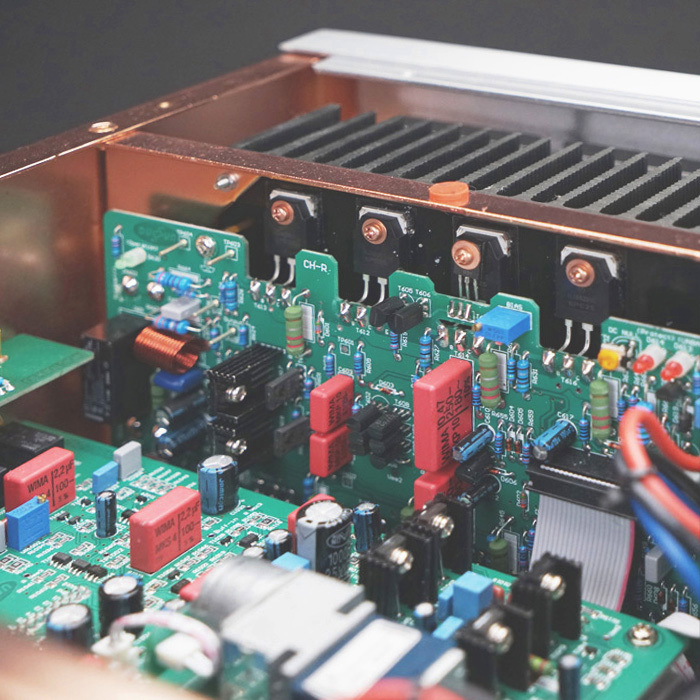 Special design features of the V6i include: the output stage peak current was designed up to 60 A, and the transformer capacity per channel was designed up to 600 VA. In order to increase sound quality, and to modify the V6i harmonic spectrum for much lower odd order harmonic wave energy, V6i employed the adaptive-bias circuit with an ideal specification. Its multi-stage power supply and system loop not only increased the V6i signal-to-noise-ratio to a higher level, but also suppressed the AC power source hum which many times contaminates the purity of the music under a large power output, as well delivered extreme high purity and silence of aural feeling while playing strong dynamic music segments. The inner configuration of the V6i followed Dussun’s successful full-symmetrical style. This effective configuration is essential to make the V6i achieve a large power output and low noise objective. There is an independent dedicated protection circuit with complete functionality for per channel, which can auto-diagnose probable overload and malfunction, then auto-protect accordingly. 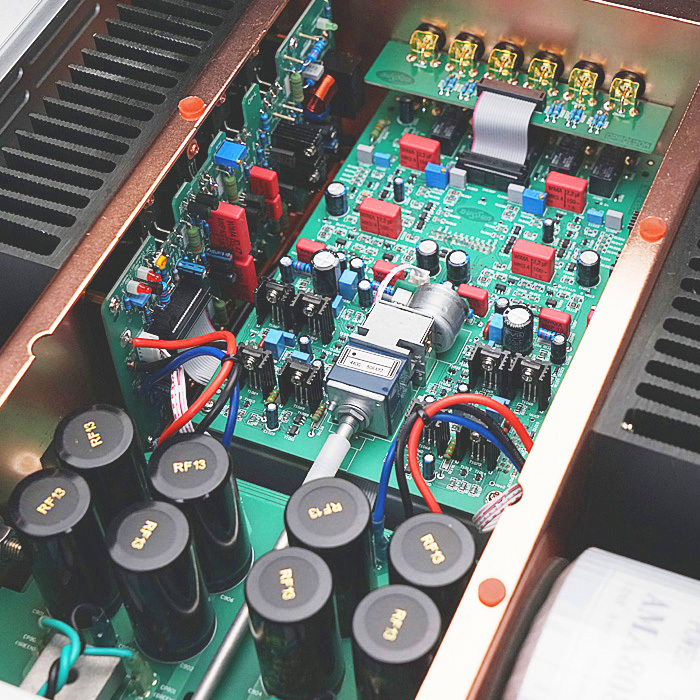 The preamplifier stage and power amplifier stage are open to the user, allowing the user to use V6i’s either preamplifier stage or power amplifier stage. For general use, V6i’s preamplifier stage and power amplifier stage were linked by a pair of link pins. If the link pins are removed, it is easy for the user to use either V6i’s preamplifier stage or power amplifier stage respectively. 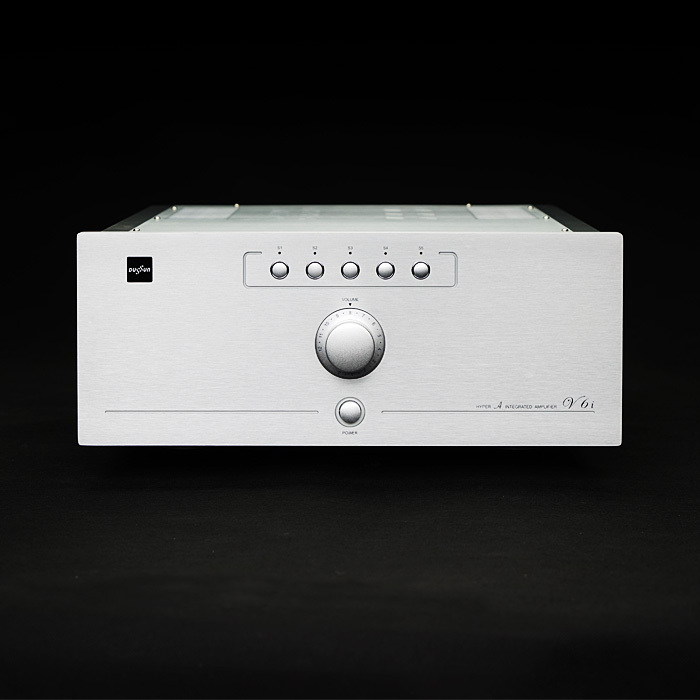 The volume control is built in the preamplifier stage, so the preamplifier output signal level is controlled by the volume control knob. 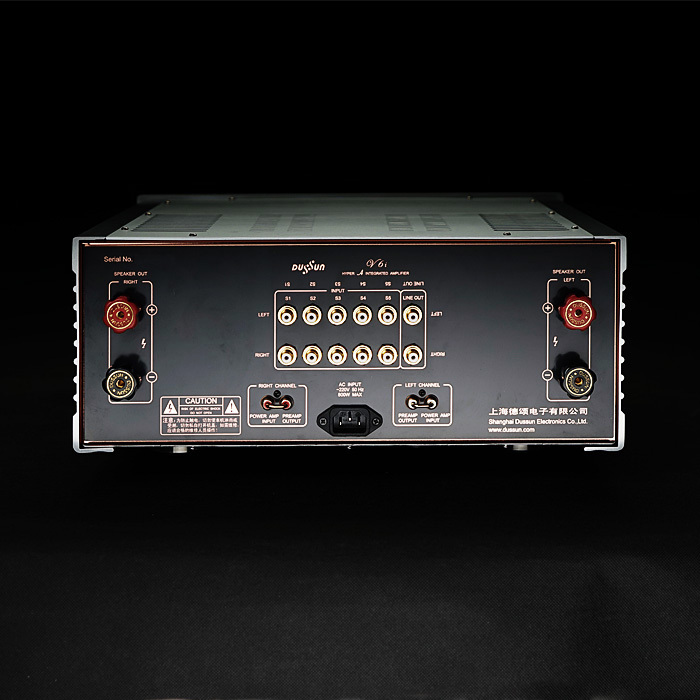 As a terminal open for the user, the preamplifier stage is driven by a high performance low inner resistance buffer, which can drive many kinds of power amplifiers with more than 600 Ohm input impedance. 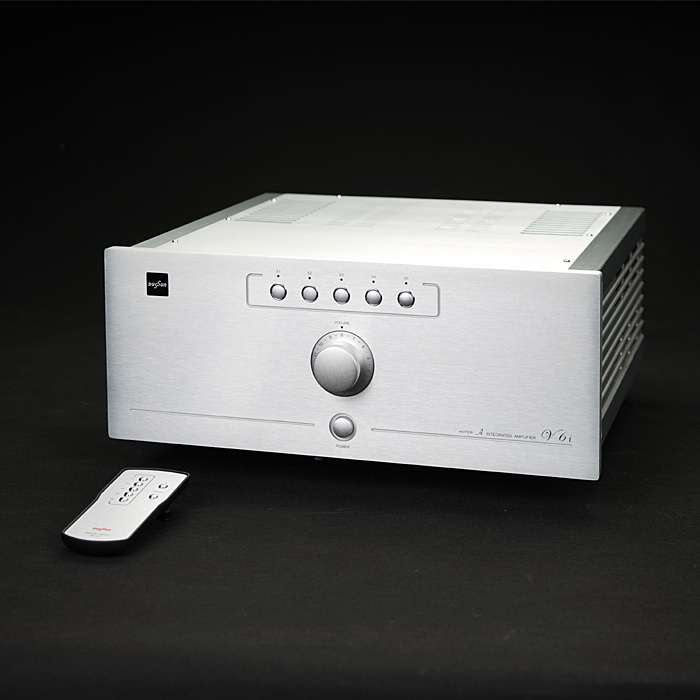 The volume is not controlled by the volume control knob if the V6i’s power amplifier stage is operated solely. The IR (infrared) Remote Control can be used to control the V6i’s volume and input signal selection. Exclusive custom Dussun gold-plated high-current audio connector for amplifier and loudspeakers.